The aim of development policy is to support developing countries’ efforts to eradicate poverty and inequality and promote sustainable development. Development policy is an integral part of Finland's foreign and security policy, development cooperation being one of the means of implementing it. Development policy and development cooperation – what are they? Development policy refers to activities that aim to reduce poverty, implement fundamental rights and promote sustainable development globally. It involves, for example, the policy dialogue conducted by Finland within international organisations and our dialogue with representatives of developing countries. 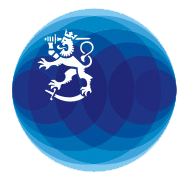 The main responsibility for Finland’s development policy rests with the Foreign Ministry. Many other government ministries also have a role in development policy, because developing countries are affected by many decisions made at national, EU and international level in other fields, e.g. safety and security, trade, agriculture, environment and migration policies. Coherence between the various policy sectors is a key principle in development policy. Development cooperation is one way of implementing development policy. It involves practical cooperation with developing countries and other cooperation partners, including international organisations and NGOs, in order to achieve development goals. The implementation of Finnish development policy is guided by the 2016 Government Report on Development Policy. Our activities are based on the 2030 Agenda for Sustainable Development, adopted within the UN in September 2015. While the world on the whole has become more prosperous in recent years, inequality has increased both within and between countries. Extreme poverty is globally the greatest single human rights issue. The goal of Finland’s development policy is the eradication of poverty and inequality and the promotion of sustainable development. Development policy also facilitates finding solutions to other global challenges, such as climate change. The aim of all our activities is to strengthen developing countries’ own resources to allow them to be less dependent on development aid. Achieving sustainable results is only possible through economically, socially and environmentally sustainable development. Finland’s action draws upon the inherent values and underlying principles of Nordic societies, the implementation of human rights being a key goal. Finnish development policy strives to strengthen the rights of the most vulnerable, promote gender equality and improve climate change preparedness and mitigation. Finland focusses its action on four priority areas. 1. The rights and status of women and girls: Gender inequality is one of the greatest problems in developing countries. Experience has shown that enhancing the rights and the position of women and girls and their opportunities to participate strengthens the society as a whole, thus promoting attainment of the other development goals. Finland possesses the credibility and know-how to foster gender equality internationally. 2. The growth of developing countries' economies to generate more jobs, livelihoods and well-being: Without a solid economic base, poverty and inequality cannot be eliminated, societies won't have income to cover their spending and they cannot develop to be eventually able to support themselves. Decent jobs and livelihood opportunities are the cornerstones of human well-being and well-functioning societies. Finland possesses know-how as a promoter of resource-wise and accountable business and economic activity. 3. Democratic and better-functioning societies: Democracy and respect for human rights, a transparent and well-functioning public sector, tax collection capacity and public services, a good justice system, independent media and a free civil society are indispensable for the achievement of development and peace. Finland has a lot to offer in all these sectors and also in the field of education, a cornerstone for development. 4. Food security, access to water and energy, and sustainable use of natural resources: People have the right to adequate food and water. Sustainable use of renewable natural resources creates a basis for food security, well-being, jobs and income. Finland is a country of clean technology and bioeconomy, boasting excellence in the realisation of well-functioning, environmentally-sustainable and climate-smart solutions in these goal areas. Finland also has a lot to offer in fostering the management of natural resources and the sustainable use of forests. 1. Human rights: Finland’s development policy departs from the principle that every person in the world has the right to a decent life: a viable environment, education, safety and security, health, livelihood and the possibility to exert influence. Respect for human rights and their promotion is a principle that guides the planning and implementation of Finland’s development policy and development cooperation to ensure that even the poorest know their rights and are able to act for them. It is equally important that the authorities are aware of their human rights obligations and have the capacity to implement them. 2. Openness: Effective and responsible development cooperation calls for an open distribution of information by both donors and recipients of aid. Citizens and the media in both developing and donor countries have the right to know where and how public funds are spent. Openness reduces the risk of misuse of funds. The Foreign Ministry publishes on its website the financing decisions on development cooperation projects and programmes, the evaluations of its activities and statistics on the use of development cooperation appropriations. The ministry also has an online service through which anyone can report incidents of suspected misuse of development cooperation funds. 3. Coherence: Development policy and development cooperation are, however, just one means of effecting change. Policy coherence is an essential prerequisite for achieving sustainable development in developing countries. The impacts on developing countries must be evaluated and considered when making decisions in different policy sectors, particularly at EU level, and one policy sector must not undo the achievements of another sector. Finland has promoted coherence especially in the following sectors: food security, trade, immigration, taxation, and safety and security. Concrete national-level measures have included deeper cooperation among various central government actors and closer coordination of EU affairs. 4. Quality and sustainable results: As a member of the international donor community, Finland has committed itself to improving the quality of development cooperation together with its partner countries. Donor cooperation, strengthening partner countries’ local capabilities, the harmonisation of practices, openness and mutual accountability are some of the principles highlighted in the jointly-agreed rules. We focus our efforts to ensure that our work will yield sustainable results with positive long-term impacts on society, reflected as better health, a rise in education levels, higher employment and improved safety and security. A more goal-oriented planning and results-based management, monitoring and evaluation of results as well as learning from results and communicating about them will play a bigger role in Finland’s development cooperation administration. 5. Partner countries’ responsibility for their own development:Finland’s development cooperation is based on development needs defined by our partner countries themselves and on their own development plans. Each partner country’s ownership and commitment to achieving the development goals is a precondition for attaining sustainable results. Overall responsibility for change rests with partner countries themselves: the role of Finland is merely to support their development.